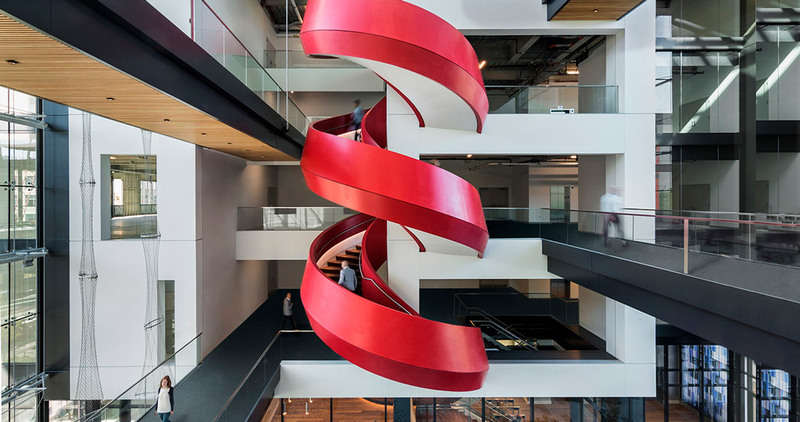 Staircases go beyond the limits of functionality, showing the strong potential of their structure to provide any architectural project with character and personality. More than just something that people go up and down on, this item has played a major role in the most luxurious interiors around the world through unbelievable structures which defy gravity, together with meeting the needs of the most cutting-edge designs. 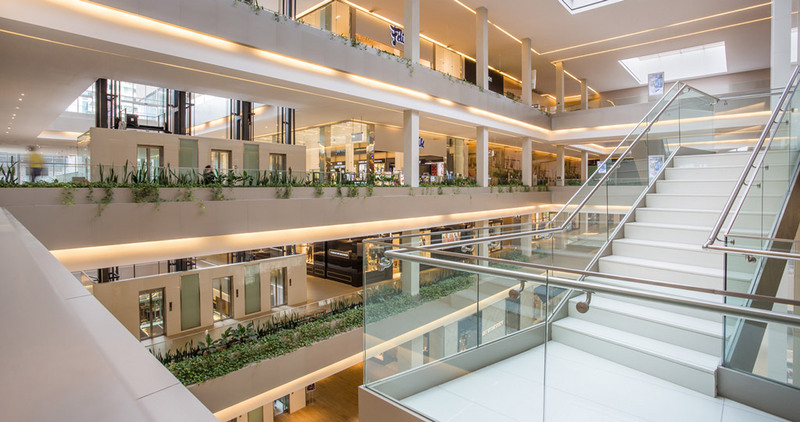 With regard to the staircases, one can find architecture trends which bank on giving a higher space flow in their structure in order to take on an increasingly prominent role, as an architectural item of this kind is expected to. 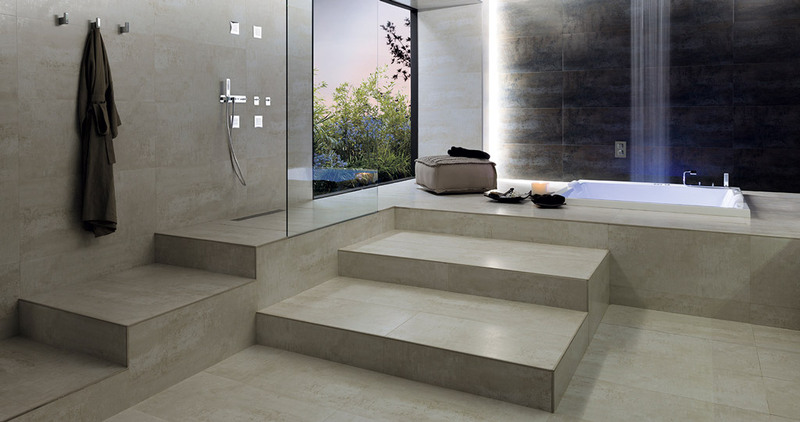 The PORCELANOSA Grupo, is quite aware that the secret in any design lies in the material chosen. The properties in each of the material provide architectural possibilities that make an item of this kind become unique. We take a peep at the latest trends together with the top stand out materials from the firm. 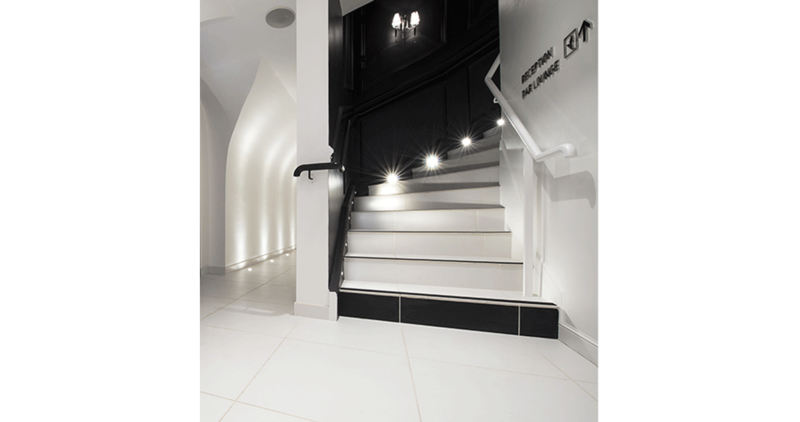 One of the most leading trends when providing the staircase design with a distinctive touch is the use of LED strip lights, since they create a combination of lights and shadows which enhances and emphasises the circulation and vertical communication of the staircase to a great extent. They can be installed on the side of the staircase to highlight its profile, or downwards to light up the lower step, on the rails, underneath the staircase steps or even on the edge of the step itself. Different decoration options which not only provide the staircase structure with a leading role but also the material, such as the combination with Madagascar Natural natural stone and also Ferroker Niquel by Venis, since using this resource of lighting makes the perfect irregularities, veins and tones of this fine material clearly visible. 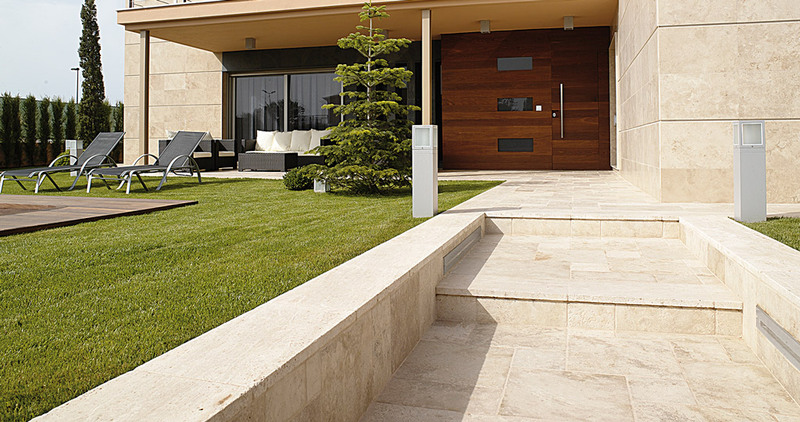 Natural marble stone is back stronger than ever before. 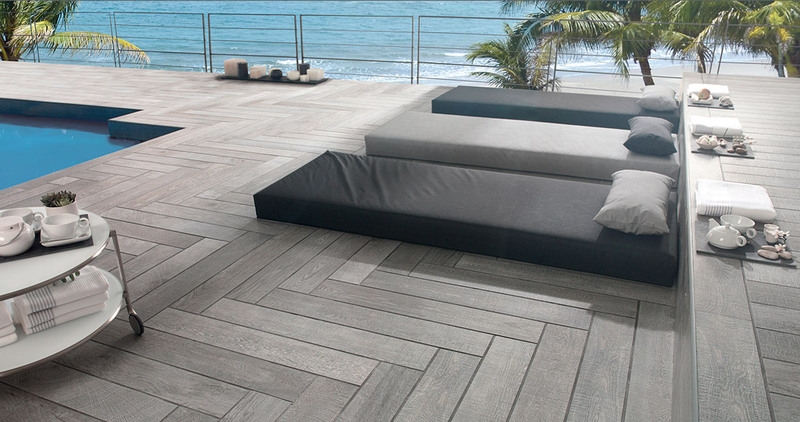 This is the reason why its impressive aesthetic dominates in flooring, wall tiles and staircases. 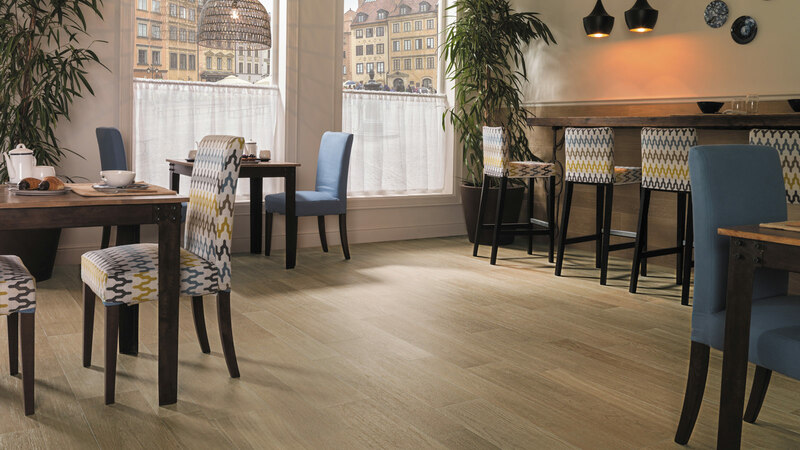 One of the most highlighted collections by L’Antic Colonial is Nairobi Crema Classico, a design which provides the room with a warm cosy feel thanks to its creamy tones and its whitish veins, which blend in perfectly with the primary colour. Additionally, the Moka marbling is a travertine which offers the possibility of being installed on staircases through different formats, such as the Classico and the Anticato. The latter provides the pieces with an aged feel, which gets a traditional appearance in a natural way. 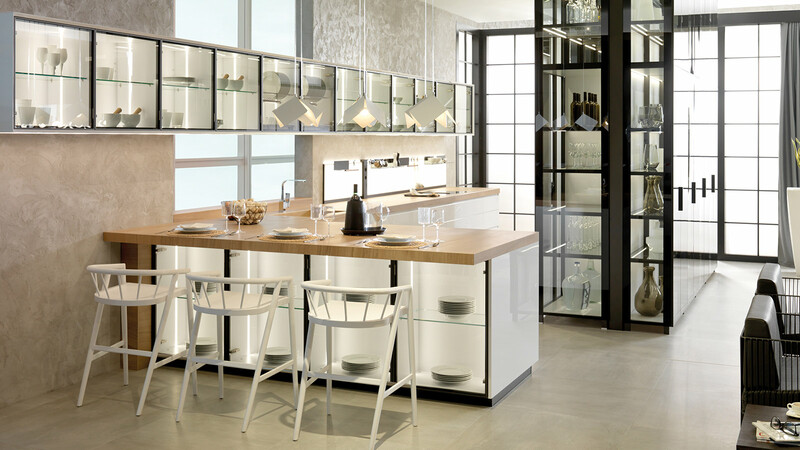 Its sophisticated aesthetic combines light brown and white tones, therefore, offering spaciousness and rudimentary tones, which are increased thanks to the narrowness of their colour variation and their surface which lacks shine. Last but not least, the firm banks on a more classical design like the Crema Grecia Classico, which consists of marble with creamy tones and white veining with a moderated tone variation, so the difference among the pieces is more noticeable. Its matt finish together with its bevel shape provide an oblique cut which makes its size stand out and prevents material deterioration against wear and tear. Not a trend for those who are afraid of heights. The overhanging staircases are made up of steps which are anchored to the wall without visible support beams. 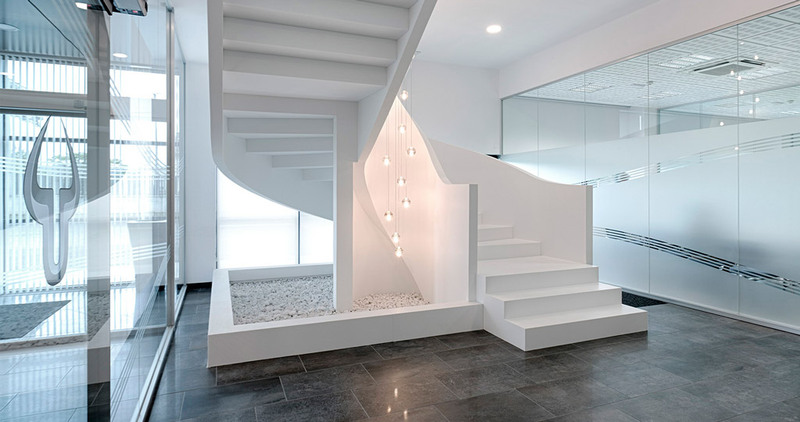 This superb design gives us the sensation that the staircase is literally floating in the air, therefore, providing the space with an incomparable modern and minimalist aesthetic. In order to counter the lightness provided by this type of structure, natural wood turns out to be perfect. 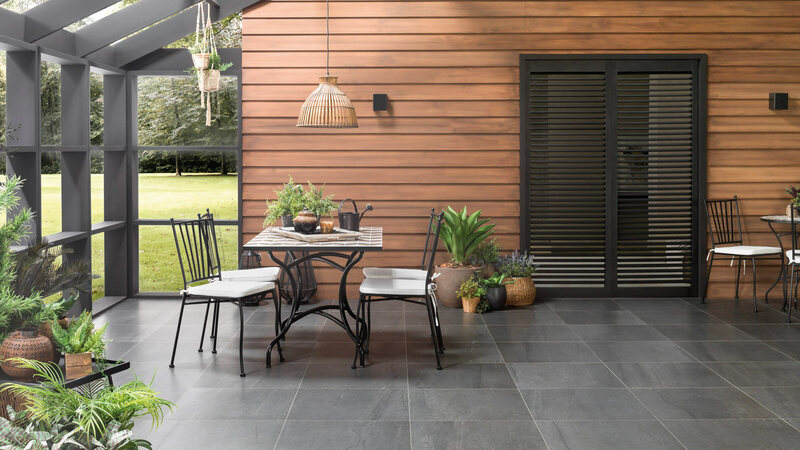 In fact, we are dealing with a material whose roughness and warmth offers visual safety, as well as a perfect aesthetic through some items such as the Oxford Acero Antislip and Oxford Antracita Anti-slip materials from Porcelanosa. A classic among classics, which reinvents itself through the most cutting-edge concepts and projects. 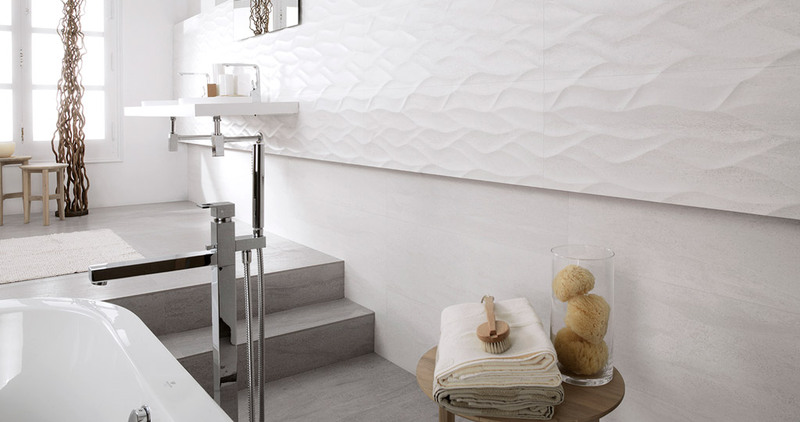 In order to make these visually impressive sculptural objects work, one of the most suitable materials turns out to be the KRION Solid Surface mineral compact by Systempool. It is a material whose mineral composition meets the needs of the outstanding versatility and malleability which enable creating steps that are around a central hollow where the steps are supported by two stringboards or overhanging beams, such as the Binney Street staircase in Boston, in a happy red finish, and also the Urovesa staircase, in A Coruña in the Snow White finish. The current designs and materials allow for a huge number of decorative solutions. Some materials of minimum thickness such as the Neo Beige Nature and TOWN Cosmos Polished full through-body porcelain tile pieces by Urbatek, make the staircase corporeality become reduced to the minimum. 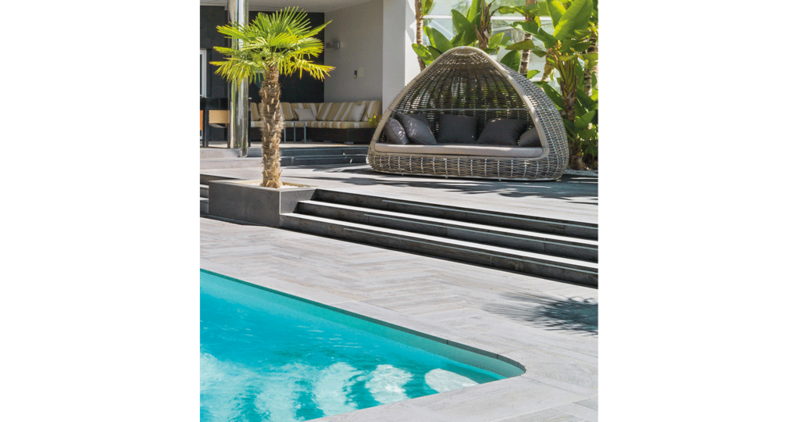 The edges are blurred thanks to the “pro-step” ceramic profiles from Butech, with a rounded profile and available in aluminium, stainless steel, gloss, matte and wood. The aim is simply to protect and decorate the steps as one can see in the example of the pro-step inox brillo profile at the Vértigo de Dijon Hotel, in France. In conclusion, staircases have proved to be items of extreme decorative value in a house, being able to offer the outstanding personality and character provided by their materials and the most ground-breaking designs.